Time really does fly… when you´re having fun – and especially, when you are online. 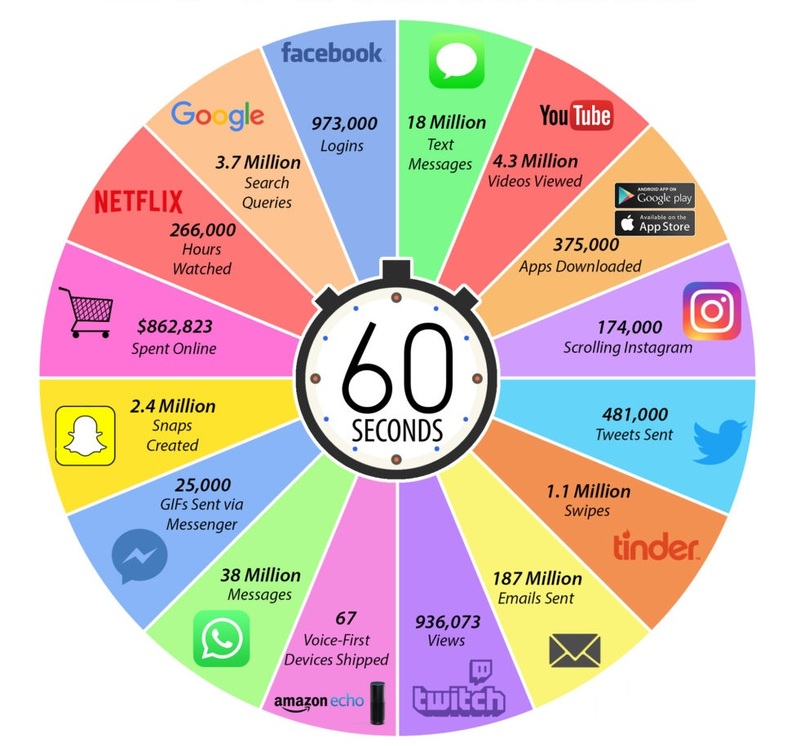 Today every minute 187 million emails are sent, 38 million messages are passed between individuals on WhatsApp, 973,000 users login on Facebook and over 174,000 users scroll through Instagram. Do you want to stand out from the masses of information with your online appearance, content or advertising? Then we at Simone Philipp Management are glad to help and guide you!